settlement and invoicing of fees and expenses. • Conduct Anti-Money Laundering (AML) checks as part of onboarding for Goldman Sachs to meet its Anti-Money Laundering (AML) compliance obligations and other regulatory requirements. • Work with Compliance to define and implement firm policies and controls. • Provide timely advice to IBD and clients on the KYC and account opening process. • Provide a control framework to manage the operational risk of the business. • Contacting clients and the business to obtain AML information and documentation. • Ensuring all communications are of the highest professional standard to maintain client service excellence. • Timely and effective escalation of potential relationship issues and devising possible resolutions. • Taking responsibility for delivering against commitments. • Participate in regular meetings with the program team to maintain clarity around workflow, develop required reporting and identify and implement efficiencies. new product launched, every market entered, and every transaction completed is an Operations team that develops the foundational processes and controls that make our business flow. 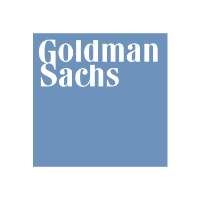 Goldman Sachs Asset Management (GSAM) is the investment management arm of the firm. As a leading player in the asset management world, GSAM makes pioneering industry improvements a priority across all of its sectors. The Trade Management team has primary responsibility of mitigating risk throughout all aspects of trade flow, settlement, and collateral management. Are you looking to expand your understanding of financial products and be well versed on the life cycle of a trade? Our Trade Management team is seeking a professional who is looking to collaborate with traders, portfolio managers and external counterparties to ensure all trades are communicated, confirmed, and settled to safeguard our clients and funds. • Prepare to gain a comprehensive understanding of the trade lifecycle by interacting with traders, strategists, clients, and technologists to work toward the shared goal of risk mitigation. • Connect daily with traders. Trust Banks and brokers to resolve issues and ensure timely settlement of trades. • Understand and improve problem solving capability for complex trade flow, accounting issues, and transactional discrepancies. • Leverage your quantitative skills to decompose processes to improve control and scale of the business. • Provide reporting to senior leadership and produce insightful analyses of the business upon request for management. trade executed, it is Operations that develops and manages the processes and controls that enable business flow. You are looking to join a fast-paced, dynamic team that has broad connectivity across the firm for a franchise critical process. You will collaborate with cross-Federation teams and across the globe to manage the firm's cash payments and receipts each day. You have a strong desire to learn about the firms different businesses and how they support our client and manage business risks, as well as work closely with a network of key banks and internal payments team to ensure smooth execution. Treasury Services is a sub division of the Operations Division. As a global, multi-faceted and cross-product sub division, our primary objectives are to: lead the development of new payments-centric businesses, while building scale and improving agility to adapt to a rapidly changing payment landscape; act as a first line of defense for control and governance to protect firms financial assets; and incorporate differentiated client service to be best in class. Treasury Services is a growing subdivision globally, with regional presence in Singapore, Bengaluru, London, New Jersey, New York and Salt Lake City with all our offices working closely together as a global team. The sub division has a rare opportunity to support products and businesses ranging across existing and new business lines, multiple payment types, and multiple client types, including institutional/franchise, consumer and corporate cash management sectors. We manage a wide range of complex processes, with members developing skills and competencies around cash management (payment controls, bank account management, settlements and reconciliations, claims), change management, regulatory requirements, and industry trends. •Oversight payment controls functions including sanctions control. Liaise with AML compliance team to resolve payment exception risk with excellent senior management exposure. •Front line interaction with a network of key vendors across cash agent banks as well as central banks. •Ensuring accuracy and integrity of the firm's books and records. •Performing a number of payment control functions, ensuring the integrity of our process. •Manage our daily cash payments and receipts for a particular portfolio. •Solid, detailed understanding of cash payments infrastructure such as SWIFT messages and various local clearing systems in Asia markets. •Committed, driven and self-motivated individual who constantly aim to improve the processes and enhance controls. •Experience in managing Japanese clearing systems (BOJ, Zengin, FXYCS). lines and markets, serving as internal business partners who develop the processes and controls, and help to specify the systems that deliver accuracy, timeliness and integrity to our business. Liquidity Operations is the firm's "central bank" for managing the firm's overall funding positions. The team works in a time sensitive environment in which accuracy of processing and timely escalation and communication with the various Operations teams, Corporate Treasury and the firm's external Nostro Agent Banks is essential to a smooth settlement process. Bank Relations (BR) is a global team responsible for managing strategic relationships with the firm's network of agent bank vendors. Whilst maintaining a risk and control mindset, the team's goals are to establish, enhance, and maintain these relationships in order to derive the maximum commercial and operational value for the firm. BR works across multiple geographies and asset classes to comply with both internal governance and external regulation to achieve a common standard of service and risk mitigation across its global agent bank network. RESPONSIBILITIES AND QUALIFICATIONS Here are some of the key expectations with particular emphasis of onboarding vendor/bank relationships as well as the qualifications we look for. • Coordinate the firm's vendor management program for agent bank providers, which will onboard new relationships, assess vendors' risk management, fee structure, service level, and issue resolution. • Comply with internal risk frameworks and industry regulations (e.g. CASS) to reduce risk and extract maximum value from our global network, connecting with stakeholders to lobby for change. • Proactively identify anomalies in agent bank trade or fee data to achieve the firm's commercial and strategic goals. • Ability to operate independently and effectively drive multiple initiatives. • Detail oriented with the ability to quickly identify and learn pertinent information across wide range of business. • Ability to combine tactical and strategic thinking. • Strong communication skills to articulate issues to a wide range of stakeholders both internally and externally. • Knowledge of cash or securities industry trade life cycles. Are you looking to apply your analytical skills and deepen your understanding of client asset protection? Client Assets team is seeking a professional who is looking to collaborate with various Operations teams as well as Legal and Compliance to ensure proper control and governance structure for the protection of client assets. is a dynamic, multi-faceted division that partners with all parts of the firm to deliver banking, sales and trading and asset management capabilities to clients around the world. In addition, Operations provides essential risk management and control to preserve and enhance the firm's assets and its reputation. For every trade agreed, every new product launched or market entered, every transaction completed, it is Operations that develops the processes and controls that makes business flow. At Client Assets, we maintain the firm's reputation and clients' confidence by ensuring compliance with customer protection regulations as well as liaise with regulators and auditors during audit processes. Through the development, testing, and implementation of strategic technology and new business initiatives, we help ensure the adequacy of controls to mitigate financial, regulatory, and reputational risks for the firm. •Fluent in both spoken and written Japanese is highly preferred but not mandatory. their environment and the wider business. Operations is a multi-faceted division that partners with all areas of the firm to deliver banking, sales and trading and asset management capabilities to clients around the world. Alongside this vital service delivery role, Operations provides essential risk management and control, preserving and enhancing the firm's assets and its reputation. The Regulatory Operations Reporting & Monitoring team responsibilities include re-engineering, implementing control/risk management improvements, as well as partnering with the Business, Project Management and IT to ensure that order, trade, transaction and position reporting to various exchanges and industry related self regulatory organizations is complete and accurate. This role requires an energetic individual that can liaise with various groups supporting our regional businesses to analyze our regulatory reporting and monitoring control infrastructure and the rules and operational/technical processes strategically. This is accomplished by working with the various business partners on project and production responsibilities to improve and maintain the quality of the firms regulatory reporting. • Exposure in financial products/functions as well as data analysis, information technology, business operating processes, and compliance. • Experience in middle office support, books & records controls, financial/non-financial reporting, project management, risk management, or operations work including regulatory reporting. and are energized by a bustling trading floor. We're looking for a professional to join our commodities desk strat team and help us develop new generation trading analytics utilizing modern mathematical techniques and system architecture solutions. Commodities desk strats use their quantitative and scientific training to solve complex business problems. We create cutting-edge derivative instruments and pricing models, provide insight into market behavior via statistical modeling, measure risk of our trading positions, and identify market opportunities. We also build scalable software infrastructure to keep track of our trading activities and market data flow around the world in real time and facilitate quick decision making. •You will work in a small team of quants and developers on developing new and maintaining existing commodities analytics. •Some projects may involve data science because large datasets are available providing useful insights on most commodities markets. •You will work on cutting edge real time market making analytics. •You will work on sophisticated mathematical models and trading strategies. •MS or PhD degree in a quantitative field: Mathematics, Computer Science, Physics or Engineering. •2 or more years of experience in finance or a cutting edge technology company. •Prior experience in commodities at another bank or hedge fund. and markets, serving as internal business partners who develop the processes and controls, and help to specify the systems that deliver accuracy, timeliness and integrity to our business. The successful candidate will work in the cash management team to support daily cash funding, new business build-out, and also aggressively drive forward control and efficiency initiatives. Liquidity Operations Cash Management manages short term liquidity by forecasting the firm's daily cash requirements. Liquidity Operations then distributes the liquidity across Goldman Sachs' entities and bank accounts via intercompany loans (between different Goldman Sachs entities) or intracompany transfers (within the same entity). The team also partners with various agent banks to secure and manage the intraday liquidity to facilitate the successful cash settlement across all products/markets for the firm. Additional responsibilities include anticipating short-term borrowing needs and securing necessary funding, investing excess cash balance in short-term money market instruments. • Managing one or more Asian currency liquidity throughout the day. • The individual will work with other teams supporting trading and client activities, responding to queries, and working through exceptional processes. • In addition, the individual would represent Liquidity Ops in evaluating new business opportunities. Operations is a dynamic, multi-faceted division that partners with all areas of the firm to deliver banking, sales and trading and asset management capabilities to clients around the world. Alongside this vital service delivery role, Operations provides essential risk management and control, preserving and enhancing the firm's assets and its reputation. For every trade agreed, every new product launched or market entered, every transaction completed, it is Operations that develops the processes and controls that makes business flow. The Singapore Listed Derivatives Middle Office (LDMO) provides operational support to a wide variety of internal and external clients who execute on all major Asia Derivatives Exchanges. Daily interaction with: (external) Asian Exchanges, Clearing Houses, Third Party Brokers and GS Clients, (internal) Compliance, Legal, Credit & Risk, Other Operations groups, Global Sales and Trading desks and managing Futures & GSS Clients. LDMO monitor all Global Listed Derivatives business (Clearing and Position maintenance) on behalf of Goldman Sachs. • Understanding clearing of Listed derivatives on Asia exchanges. Previous experience in clearing Ops or related role a plus. • Strong analytical and logical approach to all work undertaken. • A flexible, proactive, energetic approach is essential. • A strong team player who is able to work efficiently & effectively under pressure. • Enthusiasm and a strong desire to learn are key attributes given the steep learning curve this role will provide. • A highly confident and professional approach to all work undertaken and most importantly other members of the team.